Get an ATLAS 3D scanner kit based on the FreeLSS software from the Murobo store. FreeLSS is a free as in open source, open hardware, and open electronic design 3D printable turn table laser scanning platform based on the Raspberry Pi. It is written in C++ and licensed under the GPL. 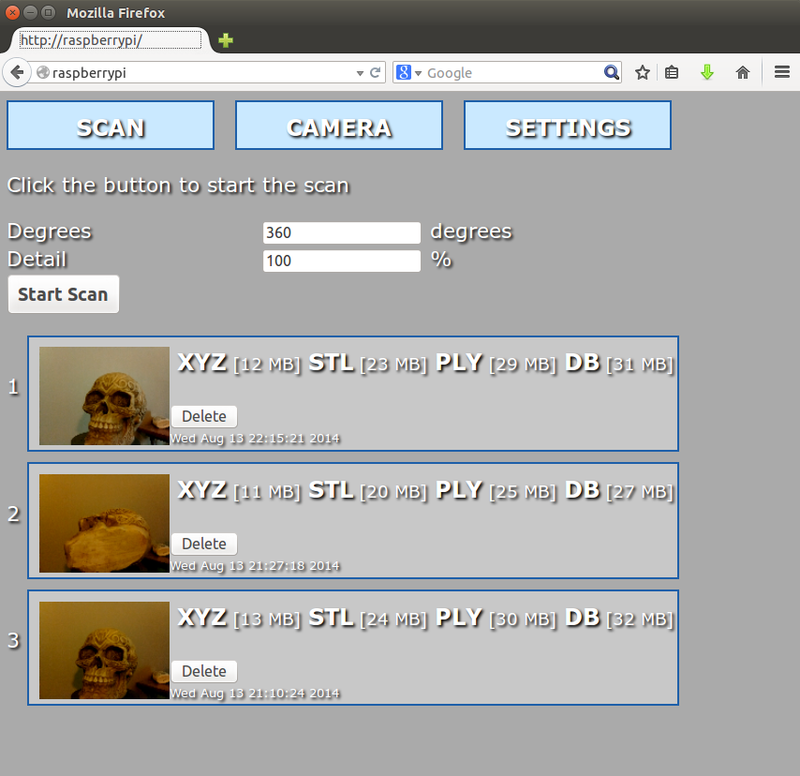 The scanning software runs self-contained on the Raspberry Pi without the need for a connected computer via USB. 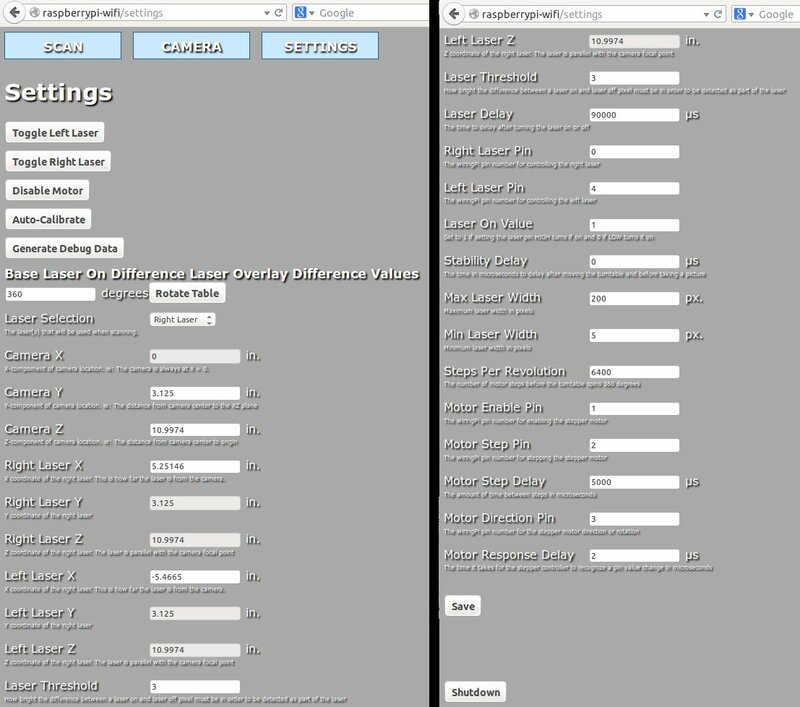 The user interface is completely web based and is exposed via libmicrohttpd on the Pi. 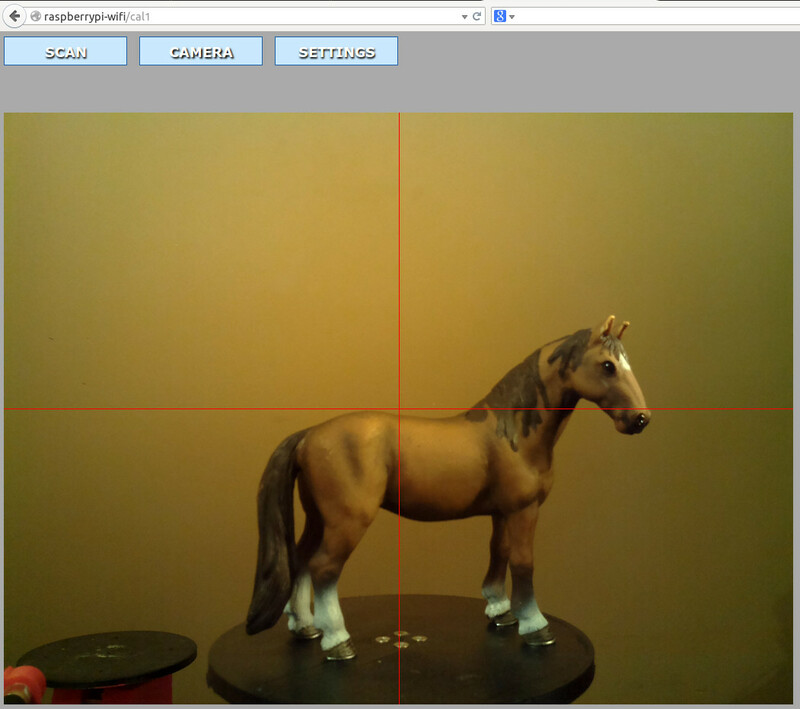 Laser sensing is performed via the official 5 MP Raspberry Pi camera. The camera can be operated in either video or still mode. Video mode camera access is provided by the Raspicam library. 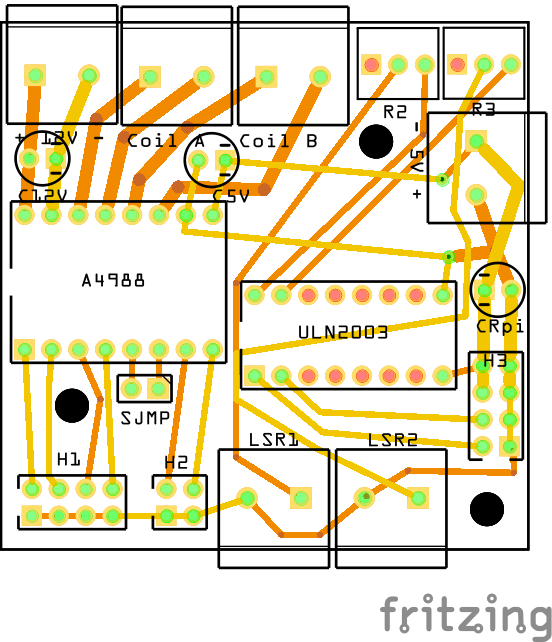 Reference designs for the electronics to control the lasers and turn table are available as Fritzing files. 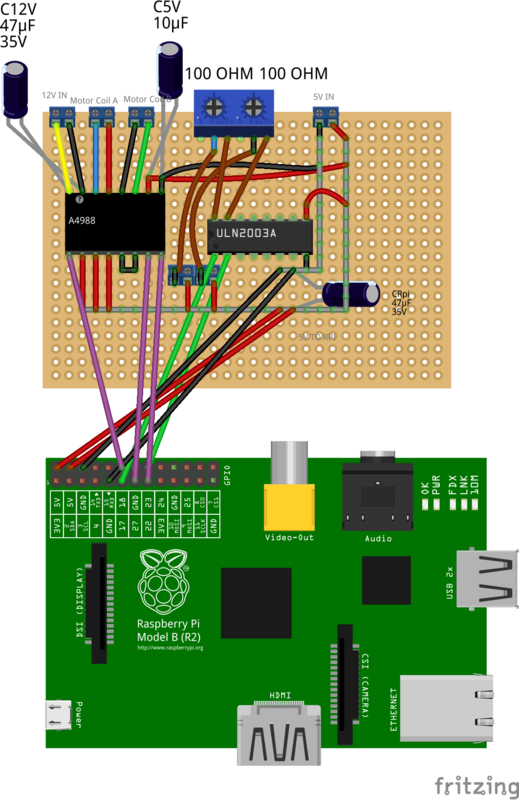 Access to the GPIO pins are provided by wiringPi. FreeLSS can generate results in the following formats. Download the source on Github. Download the printable hardware files from Thingiverse.